It may be uncomfortable to some, but Ihsahn is a progressive metal artist now, and has been since long before his solo career. ‘Amr seeks not to break that tradition but to add to it, compiling ideas, making slight adjustments (more synths this time around, a doubling-down on the controversially traditional sonic palette of Arktis.). It is a modern pop metal record made by someone who has an inarguable knowledge of what constitutes the spiritual essence and aim of black metal, but with a broader sonic eye. It sits among fellow progressive and pop travelers of the second wave like Ulver, Enslaved, and Attila Csihar’s extracurriculars, all of whom are quite vocal about creating music of the same spirit as their early career if not necessarily the same sonic palette or genre form. Like their phenomenal flowering into music that exceeds and moves beyond straight black metal, Ihsahn and ‘Amr have an eye forward and not backward, and in that, they succeed. After all: what does Ihsahn need to prove with more black metal? The man who wrote and recorded In the Nightside Eclipse and Anthems to the Welkin at Dusk? And what use is black metal if it isn’t of the spirit? Why are we here if not for the full and unbidden revelations of the inner self? What use is the spiritual motive of black metal in specific and heavy metal in general if not for this? Proggy Norwegian black metal vet Ihsahn returned this year with his new album ‘Amr, which introduces a strong synthwave influence into his sound while keeping the black metal side intact (that’s an excerpt of Invisible Oranges’ review above). It’s a cool mix that Ihsahn and pulverizing drummer Tobias Ørnes Andersen pull off really well, and if you haven’t heard the album, you can stream it in full below and pick up a copy at Candlelight’s webstore. (It’s a good one for Halloween season.) We’re now premiering the video for album opener “Lend Me the Eyes of Millenia,” which is made up of often-blurry performance footage and candle flames and it suits the song perfectly. Check it out below. 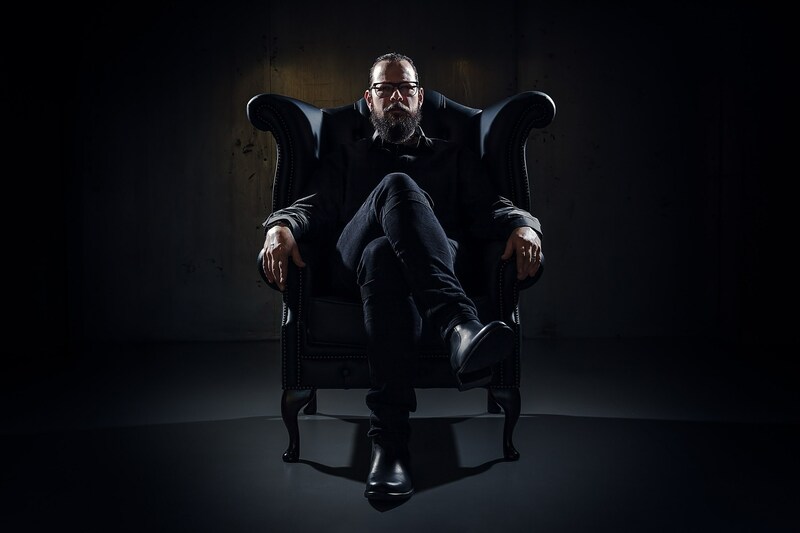 Also read Invisible Oranges’ interview with Ihsahn from earlier this year.